I love to take bubble baths but honestly can’t remember the last time I got alone time in the bathroom much less a chance to stay in there by myself for a while. Since life stays busy plan a little self care and pampering for yourself with a few things that take a little less time. 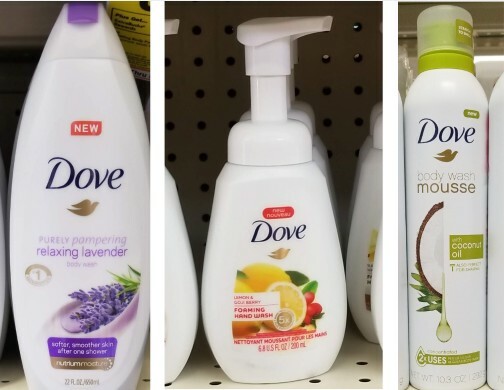 Grab a new Dove foaming hand wash, or pampering body wash or even a new body wash mousse, and make your shower feel just as luxurious as the dreamed off bath. You’ll have soft skin and feel pampered after each use! Plus, right now you can find major savings on these products at CVS. 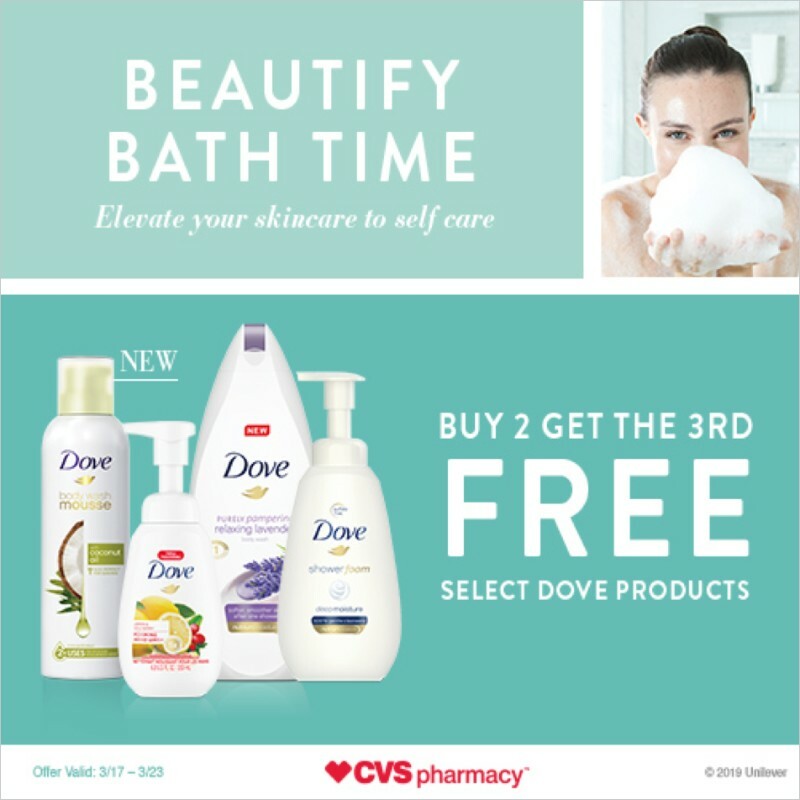 All week long grab select Dove personal care products on sale Buy 2 and Get the 3rd Free. And don’t forget all the coupons that just came out in Sunday’s newspaper! Stack the sale and the coupons together for some sweet prices. Dove Body Wash Mousse With Coconut Oil – infused with essential coconut oil to gently cleanse and care for skin, leaving it feeling clean and soft. Dove Lemon Goji Berry Foaming Handwash – with lemon and goji berry scent, 100% gentle cleansers, and 5x more moisturizers than the leading hand wash soap. Dove Shower Foam Deep Moisture Foaming Body Wash – with NutriumMoisture lathers easily and gently cleanses and cares for your skin, while supporting your skin’s natural moisture barrier. Dove Purely Pampering Relaxing Lavender Body Wash – with NutriumMoisture technology leaves skin softer and smoother after one wash.
Did you know that Dove body wash is the #1 dermatologist recommended brand?